Africa’s GOLD, as Africa’s only IAAF Gold Label status marathon, the Sanlam Cape Town Marathon is an exhilarating festival of running that brings together runners, elite athletes, social joggers and surrounding communities to enjoy a spring weekend of running through Africa’s spectacularly beautiful Mother City. Johannesburg, 4 April 2019 – Africa’s only IAAF Gold Label-status marathon officially kicked off preparations for this year’s springtime event with a press conference this afternoon in Sandton. This inaugural Joburg launch marks the significance of an event witnessing growing support from the country’s northern provinces. Ninety percent of the marathon’s total entries for last year were South African runners, of which just under half fell outside the host province of the Western Cape. International interest in the marathon is also exceptionally high, with more than 82 countries having been represented at the 2018 event. “Its route undoubtedly is what’s attracting people, and its low altitude coupled with a flat and fast course offer a record-breaking opportunity for professional and novice runners alike,” says race ambassador and Olympian Elana van Zyl-Meyer. Held on the weekend of 15 September, when Cape Town normally experiences cool, clear, wind-free weather, the 42.2km marathon is the pinnacle of a series of running events that attract major interest. This year’s weekend festival of running kicks off on Saturday 14 September with the 22km and 12km Peace Trail Runs and a 5km Peace Run. On Sunday 15 September the iconic 42.2km city marathon takes place, and for those who aren’t quite ready to undertake a full marathon, there’s the option of a 10km Peace Run. In 2018 the marathon was awarded “Participation Event of the Year” by the annual Sports Industry Awards, judged partly on the route experience and its climbing participatory numbers. 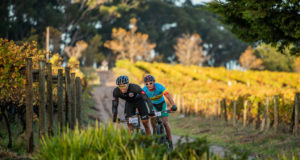 Adapted over several years, the route capitalises on past runners’ preferences and showcases the best of what the City of Cape Town has to offer. It begins in Green Point, with views of scenic Granger Bay and the bustling and popular V&A Waterfront, moving along a flat and straight course through the city’s downtown district before heading southeast towards the tree-lined suburbs of Rondebosch and Newlands. It offers breathtaking views of Table Mountain, Devil’s Peak and the Atlantic Ocean, and carries a strong historical flavour too, encompassing areas such as District Six, Woodstock and De Waterkant, which are all rich in beautifully restored heritage buildings. “The route’s beauty comes alive in its people too,” notes race director Janet Welham. Because of the vibrant nature of the marathon and the many residential suburbs it moves through, it holds significant entertainment value for surrounding communities. Last year 17 water stations were manned by over 600 volunteers; 20 bands and DJs performed at the stations, involving over 20 charities and 10 athletic clubs. There were additionally four large and ten smaller spectator zones, and 45 activations took place along the route too. “A diverse mix of Cape Town’s people packed the sidewalks and our title sponsor graciously ran a ‘gees’ competition, offering R500 000 in prize money for the best dressed and most entertaining. The response we received was phenomenal,” says Welham. the route cheering on celebrities, businesspeople and ordinary men and women all running for a cause. 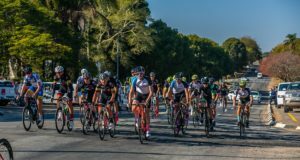 The programme’s charitable premise is to use the event to leverage social challenge, to become one of the biggest fundraising events in the country, and to increase spectator participation. Having first won its Gold Label accreditation in 2017, this must-run city marathon is required by the IAAF to adhere to strict protocols around elite-athlete participation, medical support, anti-doping, technical and measurement, road closures, insurance, pacing, drinking/sponging, timing and marketing. Each year the marathon has to reapply for label-status accreditation from the IAAF, which is why its organisational committee has developed a well-rounded and robust operating model. Since the new Cape Town Marathon format was launched in 2014, it has received massive support from its host partner, the City of Cape Town, who regard the marathon as a critical lever in not only reaching across cultural-political divides and bringing together a broad cross-section of people, but also to draw sizeable local and international tourism support. The organisers hope to increase support of the marathon from South Africa’s northern provinces by as much as 15% in 2019. Entries have opened at www.capetownmarathon.com. Special weekend travel packages are available through the marathon’s official travel partners Tsogo Sun Hotels and Penthouse Sporting Tours.